"Have Stamp, Will Travel. Ser vices Guaranteed!" Don't travel to find a notary, let us travel to you! 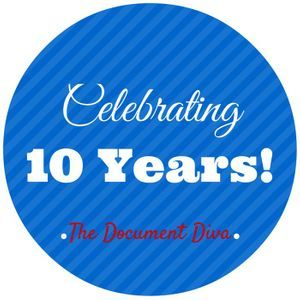 You never need a notary until you need a notary, so when you do think of The Document Diva! The Document Diva is a recognized name in the mobile notary and apostille service business with 14 years of experience as a California Notary Public. The Document Diva provides mobile notary services to businesses, residences, hospitals, convalescent homes, jails, detention centers, hotels, and more. My services are guaranteed professional, punctual, and precise! The Document Diva is available to notarize trust, legal agreements, adoption paperwork, parental permission to travel, health care directives, powers of attorney, motor vehicle transfer documents, California Apostilles, and any other document requiring notarization! We pride ourselves in offering our clients a premier service at all times. We are available 7 days a week by appointment. Mobile Notary serving as a Loan Signing Agent & Mobile Notary Public in the cities of Long Beach, Signal Hill, Lakewood, Cerritos, Artesia, Wilmington, Carson, Bellflower, Paramount, Downey, Norwalk, Santa Fe Springs, Cypress, Los Alamitos, San Pedro, Harbor City, Hawaiian Gardens, Surfside, Lomita, Garden Grove, Gardena, Westminster, and greater Los Angeles & Orange county. As a Notary Public, I am not licensed to practice law; therefore, I may not give legal advice or accept fees for legal advice.